This beautiful 6.16AC property is part of the old Beverly Plantation in the historic Pearl Mill area. A rare lake front jewel on Lake Richard B. Russell. 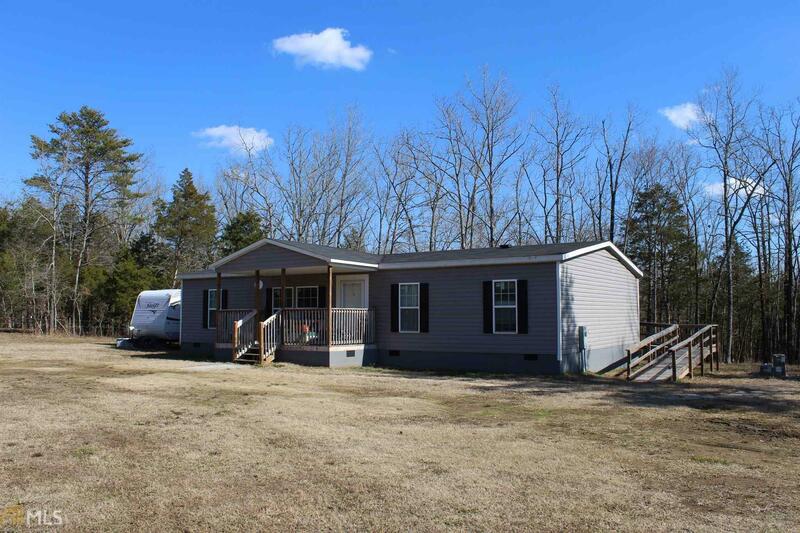 Property includes a 2016 4BR 2BA mobile home, large garden spot & fire pit area. The walk from the Corp line to shore line is gentle & there is 804' of Corp frontage. Perfect full time residence away from the city or a relaxing weekend lake home. With 571' of road frontage and 2 separate entrances, you could easily put another home on the AC closest to the lake. Must see to truly appreciate. Boat ramp within 1/4M. Located approx. 15 minutes to Richard B. Russell Park and Arrowhead Pointe Golf Course, approx. 45 minutes to Athens & 1.5 hrs. to Atlanta. Directions: From Elberton, Take Hwy 72e. L Onto Pearl Mill Rd. Property On R Shortly After Crossing Over Bridge. See Signs.